Excellent for a Small Tray to Decorate you Table. 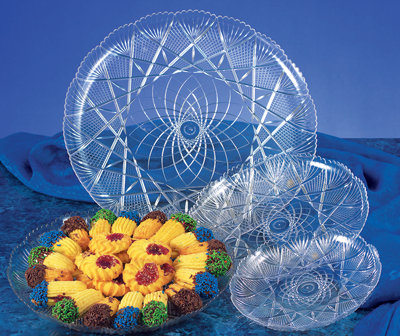 Fill with Assorted Cookies or Cold Cuts , Cheeses, or Breads. Light Weight but can be used over and over. (W) 10 3/16" x (H) 5/8 "